This material is based upon work supported by the National Science Foundation under Grant No. PHY03-49179, the Department of Energy under Grant Nos. 64377, 56840, 80780, 561096, DEFG02-03ER41281, and DEFG02-91ER40677, and by the University of Illinois at Urbana-Champaign's Office of the Vice Chancellor for Research. Any opinions, findings, and conclusions or recommendations expressed in this material are those of the author(s) and do not necessarily reflect the views of the National Science Foundation or Department of Energy. Why do the quarks and leptons, as well as the W and Z bosons, have non-zero mass while photons remain massless? What is the nature of the missing mass that provides the gravitational binding necessary to explain the stability of galaxies? Do supersymmetric particles exist, and does supersymmetry unify the fundamental forces at the highest energy scales? We hope to learn the answers to some of these questions through results from experiments performed at the Large Hadron Collider, nearing completion at CERN in Geneva, Switzerland. 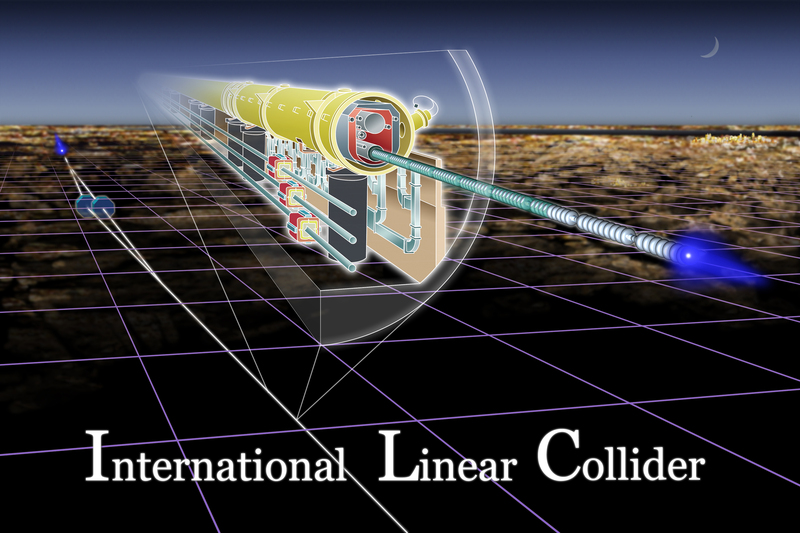 The International Linear Collider has similar physics goals, but its electron-positron collisions are expected to allow precision measurements that cannot be performed at the LHC, and are needed to understand more fully the nature of "electroweak symmetry breaking," the properties of the Higgs boson(s), and the characteristics of supersymmetric particles, should they exist. The ILC will be a challenging machine to design and build. Its initial version will accelerate beams of electrons and positrons to an energy of 250 GeV and focus these beams to a thickness comparable to the size of a hemoglobin molecule. The focused beams will collide head-on after each travels through a fifteen kilometer linear accelerator built from superconducting niobium that has been cooled to within two degrees of absolute zero. The UIUC ILC group had worked primarily on technical issues relating to the design of the accelerator. Because many of the problems to be resolved require a working knowledge of classical mechanics and electrodynamics, most of our research projects lent themselves well to the participation of undergraduate research assistants. The undergraduates in the group found solutions to problems that had stumped PhD-level scientists. Results produced by the group's students featured prominently in our presentations at international conferences on the ILC. 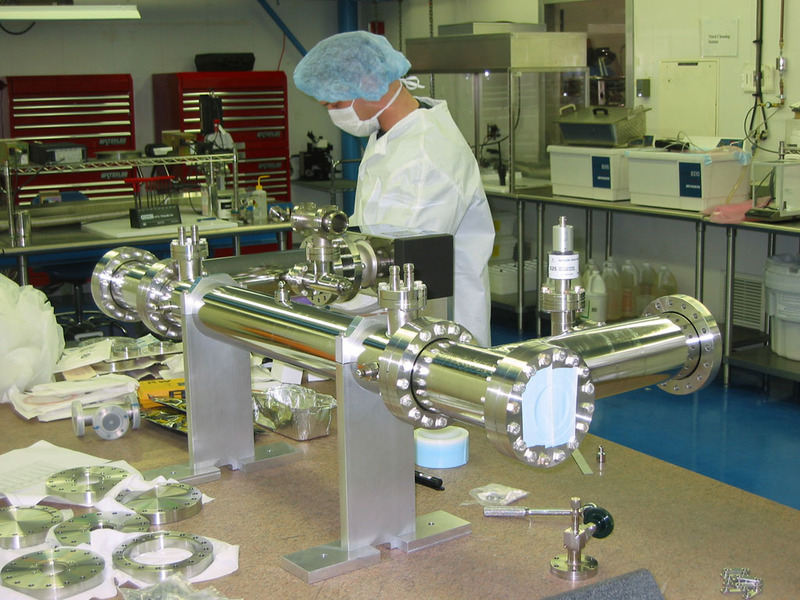 At the time Congress eliminated most funding for university-based work on the ILC in December 2007, five members of the UIUC ILC group were undergraduate physics majors. The research work was a great deal of fun for all of us.  The U.S. HEP community had been discussing a reorganization of the university-based ILC R&D effort. See U.S. university engagement with the ILC: a report to the Americas Regional Team (356 kB pdf).  A neat idea, but probably not feasible due to nonlinear effects: a "Fourier Series Pulse Compression Kicker" for the ILC's damping rings. Here's a long technical memo about it: Performance Modeling of a Fourier Series Pulse Compression Kicker for the International Linear Collider Damping Rings (845 kB MSW).  I was a Proposal Coordinator for the Linear Collider Research and Development Working Group.  Fermilab International Linear Collider damping ring work: Studies Pertaining to a Small Damping Ring for the International Linear Collider.  My LCRD proposals... LCRD 2.15: Investigation of Acoustic Localization of rf Cavity Breakdown (1.7 MB pdf, complete with two movies [4.9MB and 12.5 MB]!) and LCRD 2.22: Investigation of Novel Schemes for Injection/Extraction Kickers (2.2 MB pdf). Copyright © 2007 University of Illinois Department of Physics. All Rights Reserved. For questions regarding this web page, please contact George Gollin.